It’s Martha! It’s an app! It’s Easter! It’s divine! 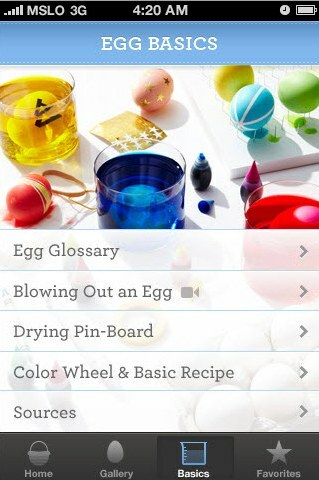 Egg dyeing is a cinch now that we have Martha Stewart right by our side showing us how with a new Easter iPhone app, Egg Dyeing 101. 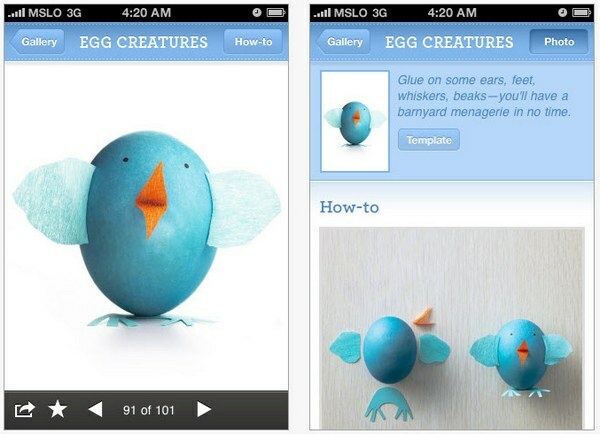 As you would expect from Martha, everything about this app is impossibly beautiful. 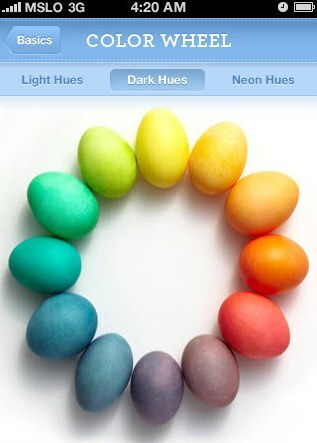 There are twenty different egg dyeing techniques shown in the Egg Gallery, each with detailed instructions on how to achieve the same effect. Some dyeing techniques even include a ‘how-to’ video – it couldn’t be simpler, could it?! If you are lacking inspiration (and honestly, I couldn’t see how with twenty dyeing projects at hand), there are one hundred and one stunning images in the Egg Gallery. Also included is basic information about egg blowing, preparing your dye, how to create an ‘egg drying pin-board’ and more – this is serious stuff. 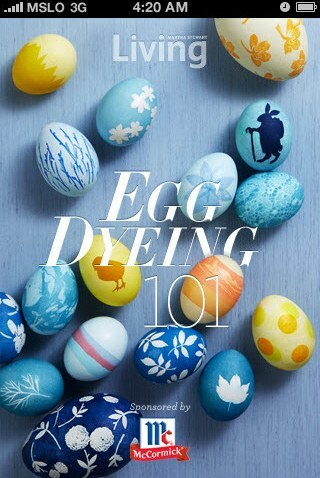 Egg Dyeing 101 is available through iTunes for $1.19.